The surviving members of the Beastie Boys are coming together for a special new event. 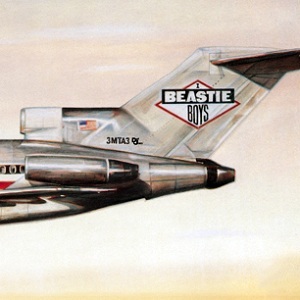 Michael “Mike-D” Diamond and Adam “Ad Rock” Horivitz will present “Beastie Boys Story: As Told by Michael Diamond & Adam Horovitz” on April 5 in Philadelphia, Pennsylvania, and April 8 and 9 in Brooklyn, New York. In addition to Mike-D and Ad Rock being at the event, longtime filmmaker Spike Jonze, who directed the Beastie Boys’ famed “Sabotage” music video. The band also worked with Jonze on a feature film named “We Can Do This,” which was about late band member Adam Yauch’s alter-ego Nathanial Hornblower, but the film was never released. The Beasties also posted a special video announcement for the events via YouTube, which can be viewed below. For more information and tickets, head to BeastieBoys.com. Late last year, Mike D and Ad-Rock unleashed “Beastie Boys Book,” an in-depth, nearly 600-page book about the history of the Beastie Boys and the band’s climb to rap-rock stardom. “We wrote this book and instead of going to book stores and us readying chapters, which probably would’ve kind of sucked, we did these shows where we were onstage, coming together,” Mike D said in a statement. “It was kinda like a production, and we forgot to film the things we did before,” added Ad-Rock.